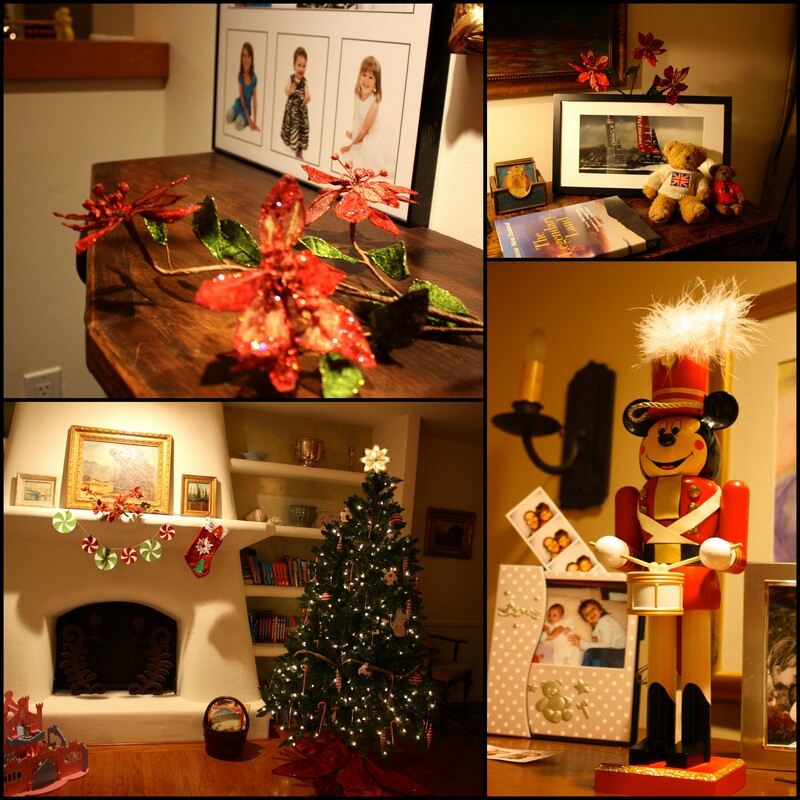 It’s been so many years since we’ve celebrated the festive season in the northern hemisphere. It took me well over a decade to adjust to celebrating in the southern hemisphere – and just when I thought I’d finally done it… I went and jinxed it! 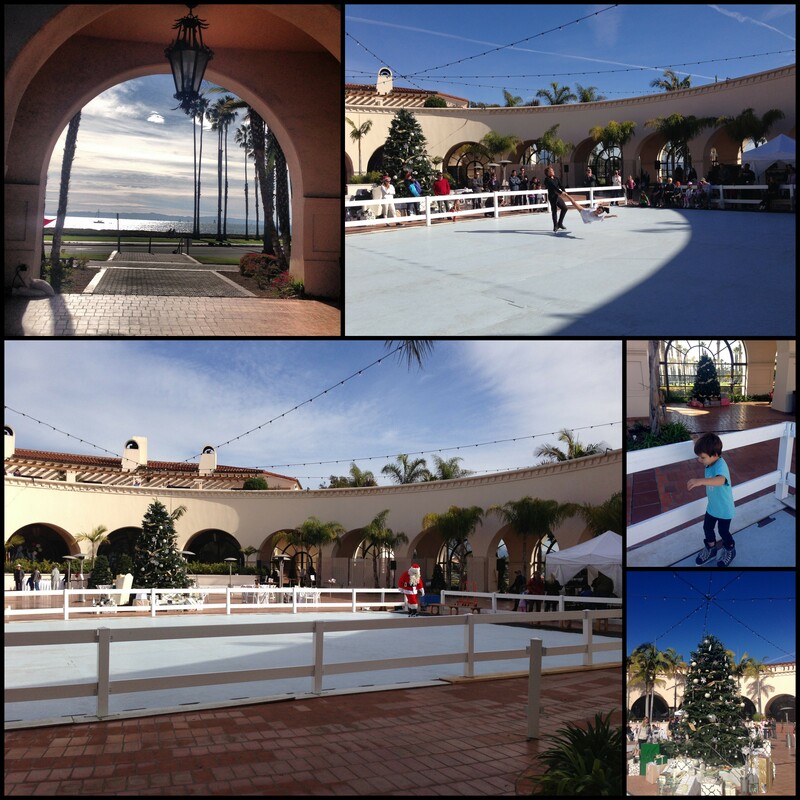 Spending Christmas in Santa Barbara is a wonderful ‘best of both worlds’ place to be. The days are always sunny, the days – of course, being in the northern hemisphere, are shorter, the evenings cooler, but rarely freezing, and the lights – everywhere – are beautiful. It gets dark at 5pm and with little wind, or inclement weather, outdoor decorations are able to be on display without risk of failure. It’s glorious to be out in the evening and enjoy the festivities, of which there are plenty. Just this weekend there was a Christmas Parade on Friday evening and a wonderful ‘Festival of Trees’, where Miss 3 was awe-struck to see Santa ice-skating. She also had a jolly good go at it herself, as well as decorating a beautiful stocking. Of course my heart is still in the two places I love – my birthplace and home of some twenty-three years – the U.K. – and my ‘adopted’ country and place that welcomed my three daughters into the world – beautiful New Zealand. I miss the beautiful red, flower of the Pohutukawa tree in New Zealand – it’s bloom always arriving to welcome Christmas and summer simultaneously, and the long days and light to savour celebrations at ease with my family and friends. My heart is also with my friends and family in England (though, admittedly, I have less of a desire to be there, in the frigid conditions of winter, where it’s dark at 3.30pm and the days quite often grey and overcast – at least with children in tow – however I could definitely enjoy some couple time with hubbie in the many gorgeous pubs and strolling the lit streets of London town!). 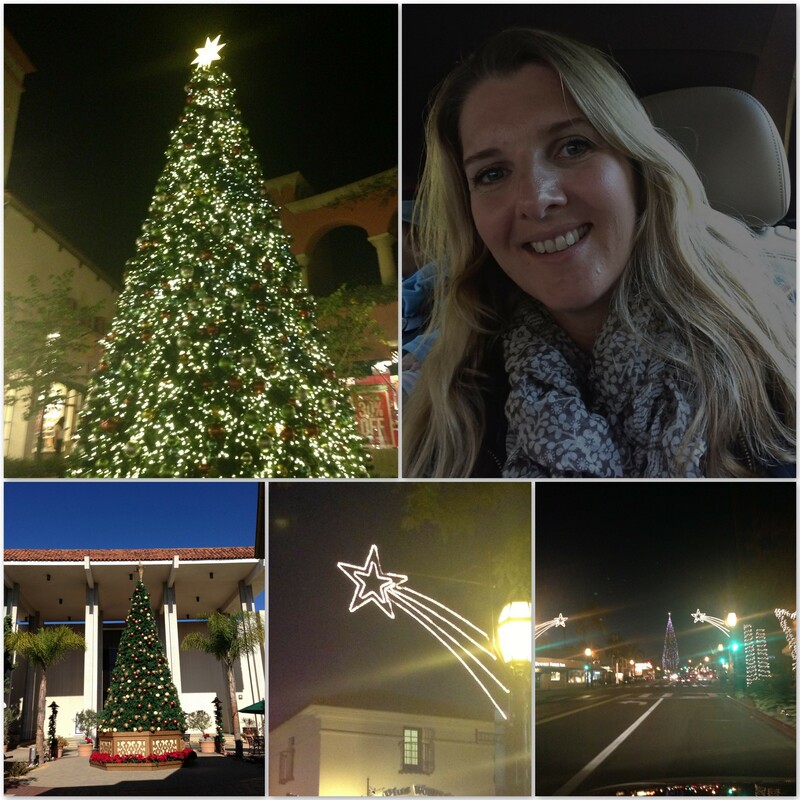 But despite my heart feeling forever torn, there is enough room for it to feel happy in Santa Barbara this year. We are blessed with the excitement of having my parents visiting from the UK to celebrate the festivities and a wonderful house to call home for a year. It’s easy to make it feel festive, with a few twinkly lights and some adornments to remind us of a summer Christmas and our roots in the U.K. There have been a few additions to mark our time here in the USA too… Mickey Mouse couldn’t help but make an appearance! 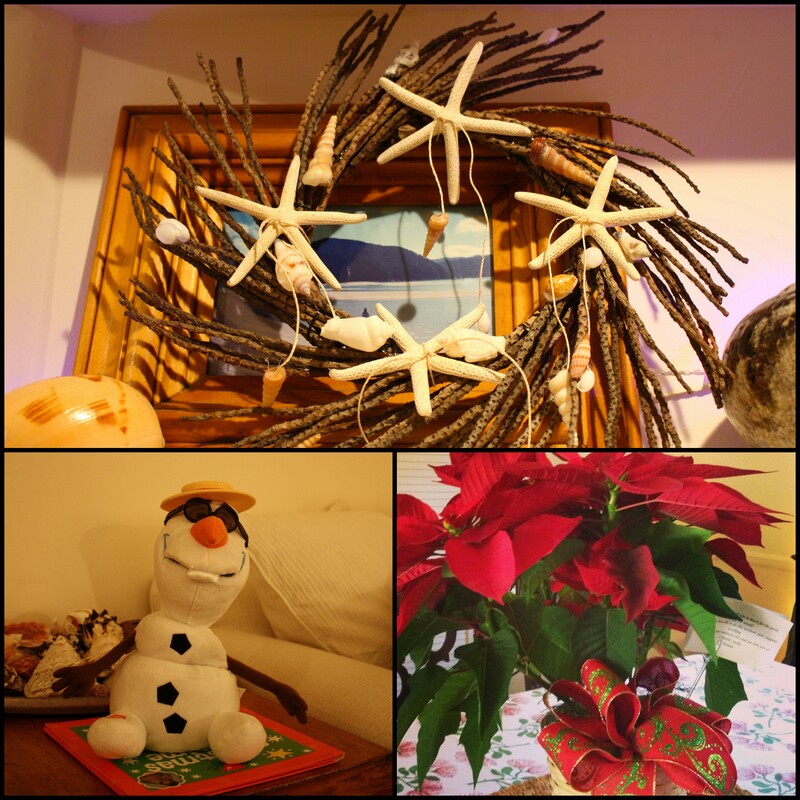 Our lovely landlady here gifted us some decorative delights, including red flowers that tie in both the beautiful Pohutukawa of New Zealand and the poinsettia, one of my all time favourite Christmas flowers. Our lovely New Zealand neighbours, that recently visited us, sent a gorgeous poinsettia as a thank you, which brings us so much love and happiness. And, the lights, everywhere, lining the streets and shopping malls, are totally magic. So with memories of our recent visit to a Christmassy Disneyland and the company of our New Zealand friends, we are feeling ready to celebrate the festivities and welcome in 2014! 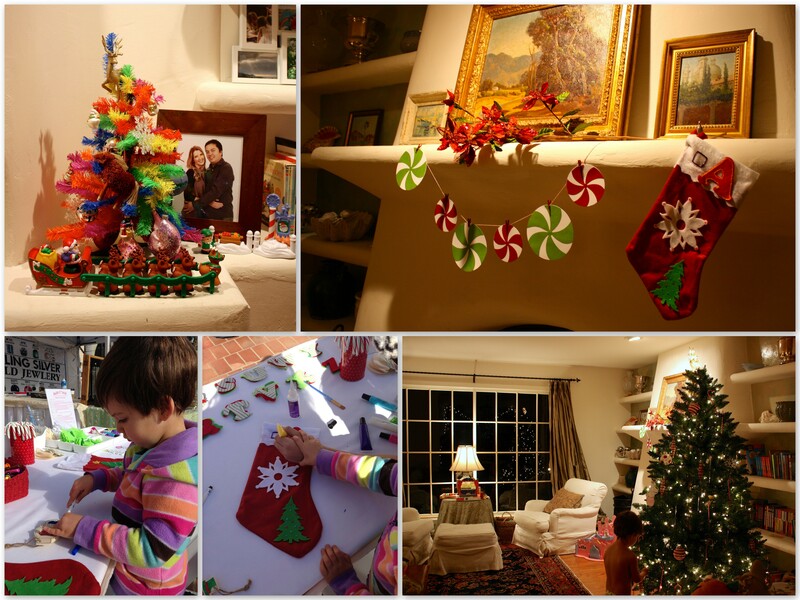 Photo Gallery celebrations, christmas, decoration, New Zealand, northern hemisphere, photo gallery, Santa Barbara, SantaBarbara, southern hemisphere, traditions. permalink. Burning some rubber with the kids on the Santa Barbara waterfront!